This is an editorial that my friend, retired US ASTRONAUT, SID GUTIERREZ wrote which the Albuquerque Journal refused to print. I am honored to have known Sid and his wife, Mary, the entire 11 years of my priesthood. Sid and Mary protest with me often in the greater Albuquerque area! Albuquerque, NM- The recent Supreme Court ruling on a Texas law requiring medical protections for women having abortions is yet another decision stemming from Roe v. Wade, the original case. Roe v. Wade has had a “profound” impact on our nation – over 58 million abortions. Yet, how many people know the reasoning behind this ruling? How many of those who passionately defend it have actually read the ruling? Since medical science and biology are in agreement that human life begins at fertilization, and because the 14th Amendment to the Constitution explicitly states “nor shall any state deprive any person of life, liberty, or property, without due process of law”, I have wondered how Justice Blackmun rationalized terminating innocent human life. So I studied the decision. I encourage you to do the same. I expected to find reference to current (circa 1973) medical journals, biology textbooks and testimony from doctors, scientists and other experts about when life begins. It is not there, but you will find reference to Aristotle. Aristotle reasoned that life in the womb began with a vegetative soul, then transitioned to an animal soul and finally took on a human soul. This is where the mistaken concept of “quickening” evolved from. I am not making this up. This is the equivalent of a Justice resorting to alchemy to adjudicate an environmental issue. If one wants to reference history, abortion was condemned by the Assyrians, Hittites, early Hindus, Buddhists of India, Egyptians, Persians, Greeks and Romans – all before Christianity. Have you noticed that opposition to abortion is part of becoming civilized? Justice Blackmun did recognize that the Hippocratic Oath, composed in ancient Greece, forbade the practice of abortion. But he then disregarded it. Please study the ruling. You will find he had to disregard a lot to write the decision he did. Understandably, abortion was condemned by Christianity from the beginning, even when primitive biological knowledge made it almost impossible to ascertain when life begins. That changed in the second quarter of the nineteenth century when biological research lead to the modern understanding of the development of human life. The mammalian egg was discovered in 1827 and the cell was recognized as the structural unit of organisms in 1839. Within the next two decades physicians had an accurate scientific understanding of human development and when life begins. In 1857 the American Medical Association led a “physicians’ crusade” to protect the unborn starting from the moment of conception. These statutory changes were not based on religion. They were based on the fundamental value placed on human life and a more complete scientific understanding of human development. By the end of the Civil War, twenty‐six of thirty‐six states and six of the ten territories had passed laws prohibiting abortion. Within three years, the states passed the 14th Amendment including the right to life for all persons. As noted earlier, this right is specifically enumerated, but Justice Blackmun ignored it along with the scientific discoveries and legislation that preceded it. He did, however, find a hidden right to an abortion in the same amendment. It is impossible to believe that the state legislatures intended to hide a right to an abortion in the 14th Amendment when they had just passed laws prohibiting it. I hope I have identified enough problems with Roe v. Wade for you to decide to study it. These are not religious issues, but scientific and legal problems. Many scholars consider Roe v. Wade one of the most flawed Supreme Court decisions, ranking it alongside the Dred Scott Case. Of course the 14th Amendment overturned Dred Scott paving the way for advancements in the civil rights for the born. We can only hope that Roe v. Wade is superseded by rulings based on science and the 14th Amendment making way for a more compassionate country that recognizes the civil rights of all – born and unborn. Sid Gutierrez is from Albuquerque, New Mexico and currently lives about 100 yards from where he grew up. He was a Distinguished Graduate of the USAF Academy with a BS in Aeronautical Engineering. He earned an MA in Management from Webster University. He is retired from the Air Force at the rank of Colonel where he flew the F-15, F-16, T-38 and many other aircraft while serving as a fighter pilot, test pilot, and instructor pilot. He joined NASA as an astronaut in 1984 and flew as the Pilot of Columbia on STS-40 and Commander of the Endevour on STS-59. He then served in several leadership positions at a national laboratory before retiring again to become an entrepreneur and spend more time with his grandchildren and the Pro-Life ministry. He and his wife of 39 years have three children and six grandchildren. 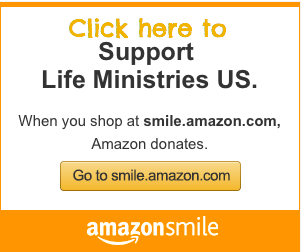 They are devoted to the Sanctity of Human Life and are particularly interested in helping single Moms who have chosen life for their children. Sid has served on the Board of a state university, several for profit companies and multiple charities dedicated to helping those in need. Who does this to a child? Who? We do! Every day! This was the sadistic 10 year post birth abortion of a pre-teen child! Wake up ABQ!!!! This is our city and state! This is happening everyday in New Mexico. Just a few months ago, exposed diabolical Curtis Boyd (SWO ) was going to do the exact same thing to twin babies 35 weeks into term…the following week they were born completely healthy. These twins (like so many other pre-born babies) would have been murdered, (many by dismembering), sold and then possibly dismembered in some gruesome experimentation by Dr Paul Roth‘s University of New Mexico, and finally disposed of by incineration! We dismember and burn pre-born babies every day in ABQ and NM. Governor Martinez has said nothing for 7 years. State politicians are silent. Community and religious leaders look the other way. No one says anything. No one does anything. I am appalled and horrified by this crime and every horrific moral abomination done to children in our culture, country, state, and city. Poor Victoria was the victim of an 10 year post birth abortion. She was brutally destroyed on her 10 birthday. Here is NM, the same thing could have happened to her on the day she would have actually been born and it would have been perfectly acceptable to the leaders of our state. Dearest Victoria, may you rest in peace, and may your death open the eyes of the elected officials and all the leaders of our state! May they see, in your death, the horror before us…the daily murdering, dismemberment, and burning of our children. May Jesus have mercy on us all. RELATED: ABQ Journal reports that Fr. 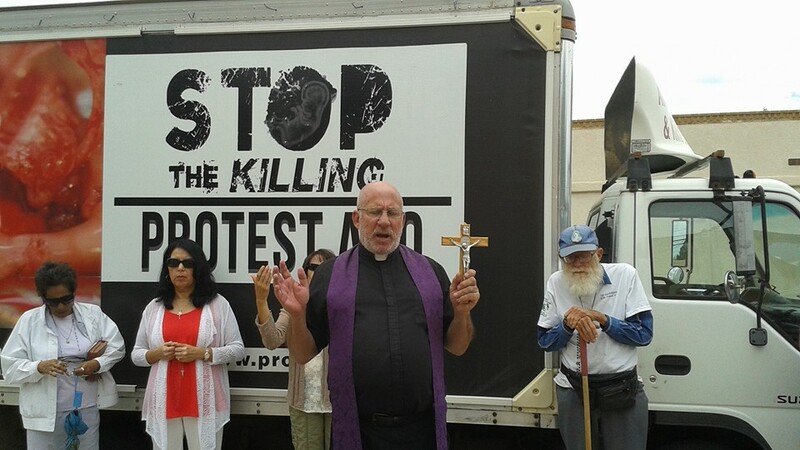 Stephen Imbarrato leads MUCH NEEDED prayers of exorcism at Albuquerque abortion clinics. Albuquerque, NM- On August 16, 2016 The UNM Health Sciences Center held a meeting during which they discussed the recent scandal regarding their use of aborted babies for experiential research. In addition to having UNM student residents involved in this inhumane and controversial research, documents obtained by the U.S. House Select Panel on Human Lives recently revealed that UNM conducted a summer youth workshop where aborted babies brains were dissected! Marcie May reporting for The HUB of New Mexico was able to ask Paul Roth directly about the controversy surrounding a UNM Summer Youth workshop where baby brains were dissected. Since 2011 members of Protest ABQ have worked to expose and connect the dots regarding the University of New Mexico’s involvement in experimental abortion research and practices in collaboration with notorious late-term abortion killing center, Southwestern Women’s Options. We have long concluded that UNM is in fact the heart of the abortion industry in New Mexico and have exposed that Paul Roth is the driving force of their radical abortion agenda. In addition to killing babies and using their body parts for experimental research, numerous women have been seriously injured during botched abortions at UNM’s own publicly funded free-standing abortion clinic, UNM Center for Reproductive Health. In fact, on August 16, 2016 the same day of the meeting conducted by the UNM Health Sciences Center, Operation Rescue reported on a horrendous abortion injury documented by a confidential informant to Protest ABQ. 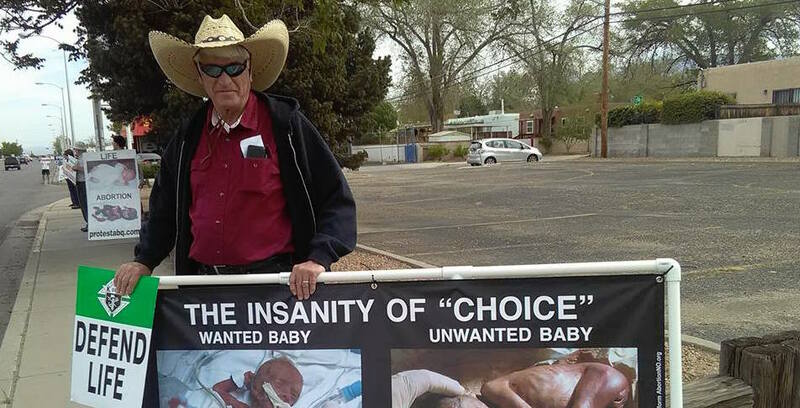 Protest ABQ joins New Mexico Alliance for Life’s call to contact the UNM Board of Regents and urge them to stop the harvesting and experimental research of baby body parts and to sever all ties with notorious late-term abortionist Curtis Boyd’s Southwestern Women’s Options.